As many of you probably already know, coffee makes the world go 'round. And we definitely know that here at the Pioneer Collective which is why we have teamed up with our good friends at Seattle Coffee Gear to bring delicious espresso right to our members. Approximately 150 million Americans drink coffee daily. And although, we love the famous Seattle coffee scene, sometimes there is just not enough time in the day or money in our wallets to stop and wait in line for that afternoon pick-me-up latte--which is where Seattle Coffee Gear comes in. Seattle Coffee Gear was started by a man named Victor on a mission to have an excellent cup of coffee all from the convenience of his own home. He took that mission and expanded it into a business with like minded people who are passionate about providing a quality product. The Seattle Coffee Gear team is friendly, knowledgeable, and passionate. They even have an in-house repair center on the off chance that your machine has an issue. One of my personal favorite aspects of Seattle Coffee Gear is their commitment to supporting Coffee Kids, a non-profit working towards enriching the lives of coffee-farming communities in Latin America, Africa, and Asia. Coffee Kids focuses on teaching young farmers entrepreneurial skills, providing them with seed capital, and mentoring them in order that they may have the tools they need to face the challenges of small production coffee farming. 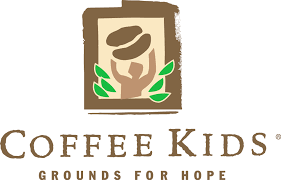 Coffee Kids has helped over 200,000 families since their start in 1988. Learn more about the work that Coffee Kids is doing here. The Pioneer Collective is currently housing Seattle Coffee Gears' Rocket Espresso R58 Espresso Machine & Eureka Atom Espresso Grinder so our members have constant access to a flow of caffeinated goodness. The Rocket Espresso R58 Espresso Machine is currently available for purchase at Seattle Coffee Gear to meet all of your in home espresso needs! The Eureka Atom Espresso Grinder works to uniformly grind your beans all while being easily adjustable and quiet & is also available for purchase. This model of espresso machine was hand made in Milan, Italy and comes equipped with a double boiler, electronic temperature controls, and adjustable feet so you can make it fit just right on your counter! Learn a little bit more about the Rocket Espresso R58 here. We've also found that the Eureka Atom Grinder works great for our space since it is ultra quiet thanks to a metal case dedicated to quieting the motor. It is perfect for being able to make a cappuccino to enjoy in the morning without waking up a sleeping partner or disturbing the neighbors. So whether you are looking for a place to enjoy a great cup of coffee and to get some work done or an at home brewing system for all of your caffeine needs, we here at the Pioneer Collective & Seattle Coffee Gear have you covered. To learn more about the machines and gear Seattle Coffee Gear carries, check out their Youtube channel! They have a ton of great content teaching you the ins and outs of at home brewing. Older PostPioneer Square: A Commuter's Paradise!